Hollywood loves to romanticize winter sports: snow bunny couples skiing down the hill, warming up with a hot chocolate in the chalet, and maybe hitting the slopes again before the screen goes black. Turns out, that idyllic image isn’t far from reality here in Minnesota. 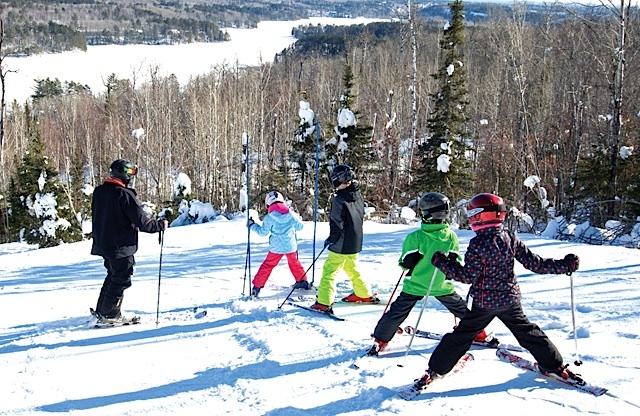 The 18 members of the Minnesota Ski Areas Association have made it their passion to turn people who are new to skiing or snowboarding into lifelong lovers of the sport. With January being National Learn to Ski and Snowboard Month, there is no better time to leave the house and grab a spot in one of their group or individual lessons. In general, Williams believes skiing is easier to learn at the front-end, but harder to refine once you get into the sport, whereas snowboarding is harder to learn at the beginning but easier as it goes on. But Cunningham says the learning process actually begins in the rental area, before even touching the snow. But for some, the worry begins before even making it to the ski area. Winter sports like skiing and snowboarding have long been associated with the wealthy. Often cast as an expensive sport, Cunningham says that’s not the case. Equipment rentals are readily available, taking the edge off of buying new equipment; and coupons, packages, and specials throughout the season make saving money even easier. The price of a lesson, for example, includes the instructor’s time, lift ticket, and the equipment rental, making an entire afternoon on the slopes cost less than $50. 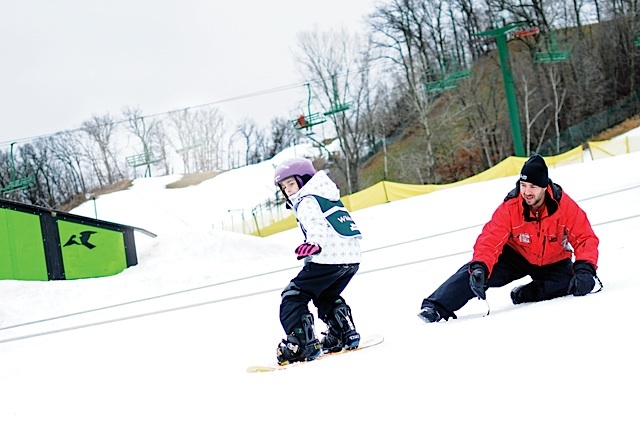 During Learn to Ski Month, Wild Mountain’s ski lessons will be offered at only $10, and at Elm Creek and Hyland Hills, Williams says learners get a complimentary lift ticket and rental after completion of a three-lesson series. Following a day in the snow, warm up in the chalet, relaxing with friends over food and drink. What sounds better than sitting by a fireplace sipping on some hot chocolate? Find the ski area nearest you and hit the slopes! With 18 locations throughout the state, there is always a lesson just a day-trip away.